Johnson Matthey is a global leader in sustainable technologies—many of the group’s products enhance the quality of life of millions through their beneficial impact on the environment, human health and wellbeing. 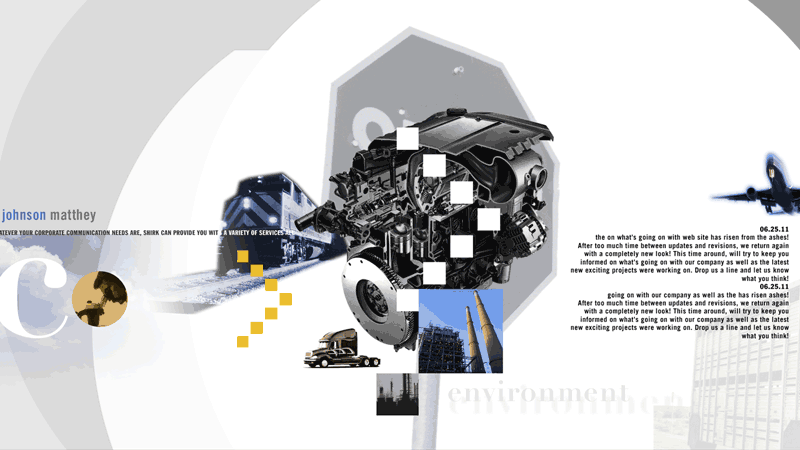 The Emission Control Technologies division, is a world leading catalyst manufacturer for vehicle and stationary exhaust emission control and a leader in catalytic systems. 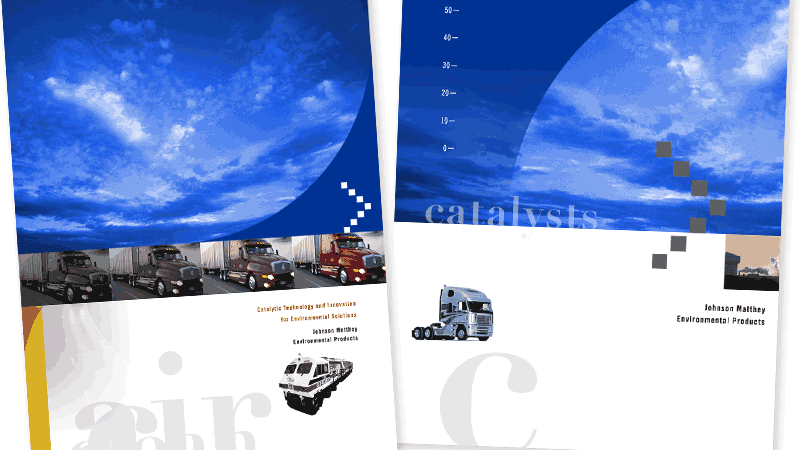 SHIRKWORX was given the assignment to create an 8-page brochure highlighting Johnson Matthey’s Emission Control Technology (ECT)capabilities.